On its 40th anniversary, playwright John Murrell talks about the real stories behind his famous play. 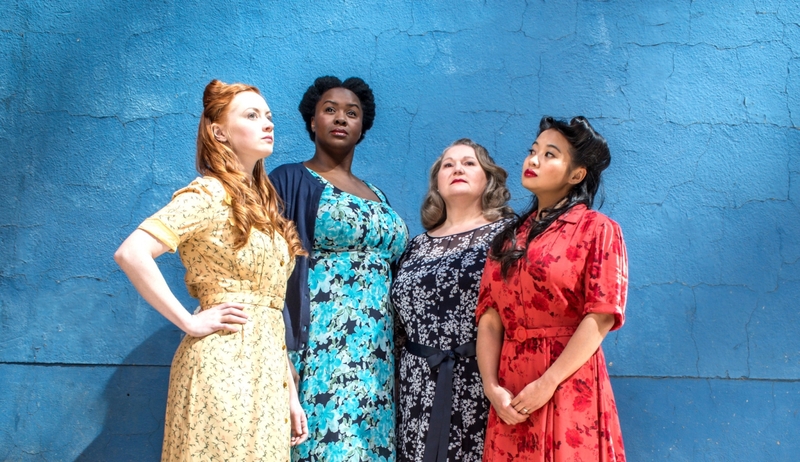 In Calgary playwright John Murrell‘s Waiting for the Parade, five women live through the uncertainty of the Second World War in 1940s Calgary, each dealing with their wartime issues in their own way. Though he couldn’t have known it when the play premiered in 1977, time has proven that Murrell’s take on the lives of women during wartime has resonated with audiences. It’s been performed numerous times across the country since its premiere, as well as in London and New York. Now, on the play’s 40th anniversary, Murrell remembers what it was like delving into the past to uncover its truths. When tasked with writing a play about the Second World War from a Canadian perspective, playwright Murrell wanted to approach the topic from a new angle. In 1977, that meant writing about the women who experienced the war at home. “I started thinking about good things that had been written by other people [on the topic] which were mainly about the male experience and thought how rare it was to have anything produced that talked about the women at that time and especially about women on the home front,” he says. In order to get a better sense of time and place, Murrell and assistant Gael Blackhall conducted more than 50 interviews, totaling more than 50 hours of tape, with Calgarians who some connection to the home front scene from 1939 to 1945. The cast of ATP’s latest 40th anniversary production of Waiting for the Parade. What they found throughout this process was that, in almost all of the interviews they’d conducted with women, the interviewees would say nothing of interest had happened to them or they couldn’t recall anything interesting. But in asking them general questions on the clothing of the time, how food shortages affected them and other details, they’d eventually find gold. Murrell recalls one such incident that he used as the nucleus of a scene. Waiting for the Parade runs until Saturday, October 1 at Martha Cohen Theatre, Arts Commons. For more information, visit atplive.com.